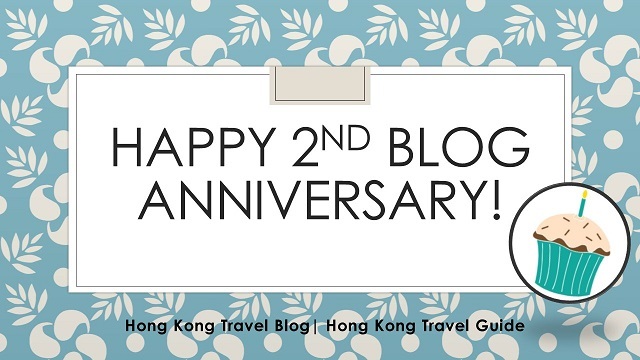 Hong Kong Travel Blog | Hong Kong Travel Guide is approaching 2 years old. Happy 2nd anniversary! I have just finished the migration of this travel blog. I was really nervous about it and could not sleep well in the previous month. Today, I have confirmed with the host that the migration is completed and I can heave a sigh of relief. Those who have done website migration, you know how I feel. Well, that’s too much technical stuff. Let’s talk about something else. My lovely and honourable readers and subscribers, quite honestly, I didn’t put enough effort in building the blog last year. There are still lots of things waiting for me to do to make it much better and provide more resources to all of you. Meanwhile, I did try my best to keep it updated. 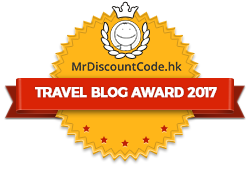 Therefore, this blog has been nominated for Mr. Discountcode Hong Kong Travel Blog Award 2017. All of you are invited to support this blog by simply 3 clicks to vote. For more details, make the first click here. In the near future, I hope to bring you a blog with more diversified experience. While I am trying my best to manage this website, just so you know that this travel blog is not perfect. Should you spot any mistakes or outdated info., have any comments or queries, please don’t hesitate to contact me. Please feel free to visit and subscribe to my blog as well as to share, like and follow my FB Page. But please don’t copy or republish my content without my consent. Thank you very much for visiting my infant blog! Have to go back to work now. Ciao!